WHILE far northern Australia’s highest-profile beef processing business near Darwin has fallen on hard times, a second new abattoir venture across the Western Australian border is going from strength to strength. Jack Burton and partners’ Yeeda Pastoral Co, between Derby and Broome in WA’s remote northwest, completed its abattoir project in late 2016, before finishing export license approvals and going into full production towards the end of last year. This year the plant is processing between 1100 and 1200 head of cattle each week, on a five-day, single shift roster. And most importantly, the project’s backers say it’s making a profit. “We’re pretty happy with where things are at. There’s certainly a margin in it,” Jack Burton told Beef Central during a wide-ranging interview yesterday. 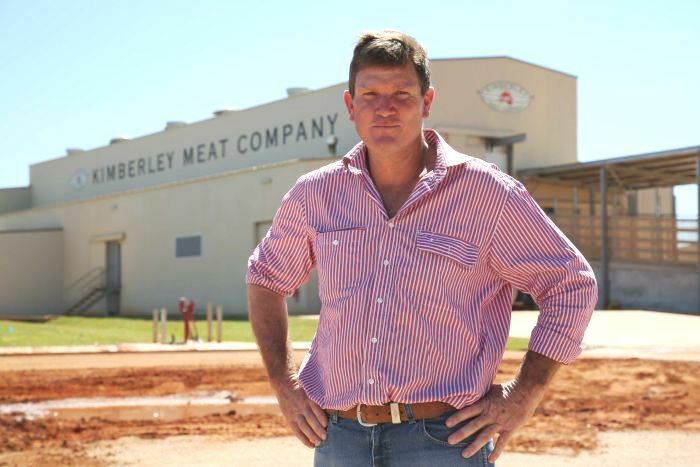 The region’s last ‘original’ beef abattoir at Broome closed its doors in 1993, the year that Mr Burton and his wife Vicki bought nearby Kilto station, before expanding (with the injection of partners) via the purchase of Yeeda in 2000. The son of a butcher, he had been toying with the concept of a meat processing venture on Yeeda for some years, but it was the disastrous 2011 live export market closure that provided the final catalyst to ‘have a go’, and provide a market alternative should ever a similar situation occur again. “Ultimately, the profit in beef processing comes from what you buy the raw material for; what you sell the finished product for; and how much it costs you to convert it. He said he had fielded a number of calls from Kimberley/VRD cattle producers following AA Co’s announcement on Wednesday that it plans to close its Darwin abattoir. Unlike the +$100 million spend at the Livingstone site near Darwin, the Yeeda facility, pictured above, was constructed on the ‘smell of an oily rag’, with much of the basic concrete and steelwork construction carried out by Mr Burton and his team themselves. Specialists came in for refrigeration and other technical work, and experienced advisors helped with the design and layout. Visitors to the plant from the east coast (a team from Sanger Australia was at the site earlier today) often express surprise at how well-designed and constructed the facility is, despite its remote station location. A small, multi-skilled team led by Mr Burton does all the cattle procurement, manages and operates the plant, and markets much of the chilled and frozen output. The business has the flattest of flat management profiles. 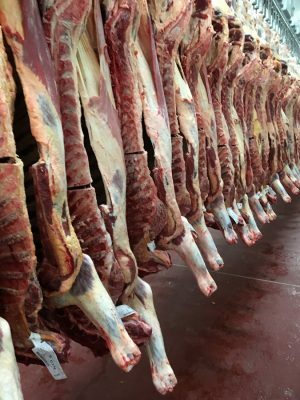 The offtake arrangements could hardly be more simple or efficient, with the vast majority of each boned carcase simply going into a frozen commodity grinding beef pack. The exception is a few cuts harvested for table use. Risk management is equally straightforward. “Unless we have forward sold all the product, we don’t pull the trigger,” Mr Burton said. He said historically, the business had looked at live export as complementary to its own processing operations, which relies mostly on older cull cows and bulls not suited to the boat trade. In fact Yeeda Pastoral Co itself continues to live export 10,000 to 12,000 cattle each year out of its own operations. “We’re very much either/or, depending on where the money is. But we think we’re approaching a time where if live export prices keep coming back, they will get to a level where the abattoir can also compete, head-on, with the live export trade on the better quality, younger cattle,” Mr Burton said. Mr Burton said the offals and the ‘fifth quarter’ from each animal was now also very important in the overall profit mix, especially as Indian buffalo meat exports to Indonesia did not include any offal shipments. In addition to its ‘bread and butter’ kill of cull cows, cull herd bulls and scrub cattle, the Yeeda plant also processes a smaller number of young heifers, which go into a domestic market in WA’s southwest corner. And within the next couple of weeks, the plant will also start its first certified organic beef kill, using Yeeda-bred cattle which are run under a Certified Organic program. This past summer’s wet season, which dumped 2.4 metres (2400mm) of rain on the property, destroyed roads and delayed the start of the plant’s first organic kill by some months. 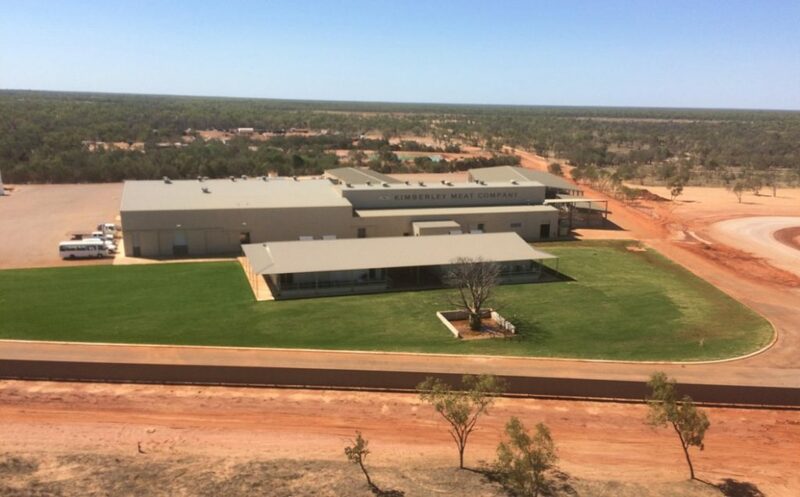 In addition to Yeeda’s company-bred cattle, the plant is processing stock for Gina Rinehart’s Hancock Prospecting and others bought liveweight basis from local cattle producers. Cattle slaughtered over the past 12 months have come from as far east as Katherine, and west to Newman, in WA’s Pilbara region. The market for ex breeding cows +400kg liveweight in the region is currently around 170c to 185c/kg. Around one third of the plant’s output is sold as quarter-beef – either frozen for export, or chilled for the domestic trade – with the balance going through the plant’s own boning room, as frozen boxed beef. Sydney meat trader Stuart Hanna, from Sanger Australia, has traded significant quantities of the Yeeda product into the US grinding beef market over the past year or so, telling Beef Central this morning it had performed well, and was well-received by customers. Mr Burton said the plant now had a good spread of markets, trading into South Korea, Indonesia and other southeast Asian destinations, as well as the US and domestic trade. One of the plant’s distinct advantages is large discounts available on refrigerated freight rates back to Perth, as most trucks headed north full, but have little or no opportunity for back-freight. As a result, most of Yeeda’s frozen export carton and quarter beef exits the country via Fremantle, whereas Darwin tends to be greatly limited by shipping schedules. “Processing beef is a margin game,” Mr Burton said. “It’s one of those tough businesses where if you save a dollar a head somewhere, that adds up to $60,000 or $70,000 a year, over a full season’s kill. And there’s probably a hundred ‘$1 a head scenarios’ that make the difference between how we choose to operate, and how somebody else might operate,” he said. “On the worst animal we kill each week, we still make a quid on, but on our best cattle, we’re making a good net return,” he said. But it’s not just about killing whatever turns up. The Yeeda grazing business is changing as a result of the growth in the processing business, also. A million acres of country has been set aside on Yeeda just for backgrounding and depot purposes, within 30km of the plant. Mr Burton said last year, Yeeda had bailed-out of some lines of local cattle it was competing with AA Co over, because at the price, it would have been ‘totally unprofitable’ to process. “AA Co pipped us on price, and they still had a $100/head freight bill on them to get back to Darwin. But good luck to the producers who got it – it was just beyond what we were prepared to pay in order to stay in profit,” he said. While 60pc percent of the country on Yeeda is still used for breeding, increasingly, more country is being used for backgrounding light cattle bought earlier at more attractive prices. “The profitability is more across the total supply chain, such as getting cheaper light cattle to a good killable weight, rather than just the margin from slaughter itself,” Mr Burton said. Faced with a traditional northern wet season each year, Mr Burton has plans to push the plant’s annual operating season out to ten months. “We’re pretty comfortable with how the plant is operating now, and we think on a one-shift basis, we can lift weekly throughput up to 1500 a week for the bulk of the season. The plant currently only utilises blast freezing, but plate freezing technology is part of future expansion plans. That next stage will also include the installation of a hot boning rail, for greater flexibility. So has labour been a significant issue, given the plant’s extremely remote location? “Yes, and no,” Mr Burton said. The processing side of the Yeeda business currently has 64 staff on its books, including a team of indigenous boys who run the hide shed. At some time in the future, Mr Burton has a vision to air freight fresh chilled carcase beef straight into southeast Asia. 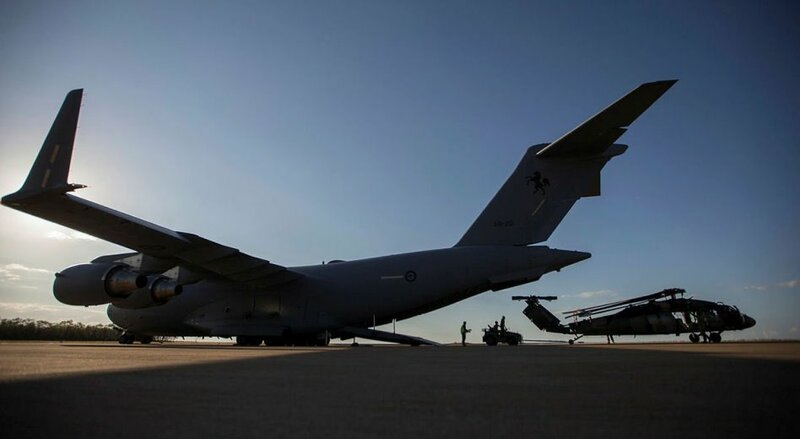 The plant is an hour and 40 minutes from Jakarta by air, and the Australian Government’s huge Curtin defence airbase, capable of handling virtually any aircraft, is located just 70km from the plant. “If it happened, we could kill an irrigated pasture-finished steer or heifer today, and have it sitting in a wet market in Jakarta by midnight tonight,” he said. Jack, well done, you had a vision and were prepared to back yourself with the courage and conviction for action, not just talk. Have to admire that. As you told me, you are not actually in the food business until your product can be put on a fork. Well your beef is now on a fork (or in a burger). Well done Jack and Vicki. It is a shame that some of our Aboriginal Corporations that own cattle stations cannot take a leaf out of your book, they would be in a better place today. What a great business story. Maybe some of the the corporate producers could take a lesson from Jack Burton. I wish them all the best in the future although I think they will create their own luck. This is an important business model story for the Top End beef cattle industry to ensure its long-term viability and community support. Congratulations to Jack Burton and his partners for their management savvy in a difficult business environment. Let’s hope the Livingstone plant can learn from Burton and find a way to remain open. This brings back memories of the very first shipments of lean boneless cowbeef (CC/CH 90VL) that left Australia in 60lb cartons hard frozen for the USA hamburger trade many years ago. Jack Miller-Hayes, a very clever American, had come to Australia in the late 50’s and saw how lean our grass fed cows were compared to the fatty lot-fed American cows. As long as the full carcase could be boned out and was 90% visually lean, the meat would be very acceptable for grinding for the huge hamburger trade in the USA market. In order to curtail and regulate the trade the AMB introduced an ‘entitlement system’ whereby a packer had to divert some of his production to other markets in order to earn an entitlement to ship to the ASA. The ‘entitlements’ could be freely traded. Some markets like Taiwan and Malta got some very cheap fatty trimmings as a result of this. When entitlements were scarce and the USA cowbeef price was strong some traders made a good living just trading entitlements. I am not suggesting Yeeda will ever have to do anything like this. In those far off days there were very few export markets for Australian beef. Post-war most of our beef went to the good old UK in the form of quarter beef and sides. The old worn out cows ended up as meat & bone meal. The USA grinding beef trade was a game-changer. I still think Gina Rinehart should examine the possibility of building her own fully integrated meat processing plant close to where most of her cattle are, adjacent to a shipping port (or an air-port) and build up a trade in frozen and chilled boxed beef for all markets. At least her Chinese partner should be able to advise her all about the prospects in China and how to go about developing this potentially very large but complicated market. Well this story answers my query as to why Gina Rinehart doesn’t construct her own abattoir, that’s because she’s already dealing with an efficient and productive meat works! 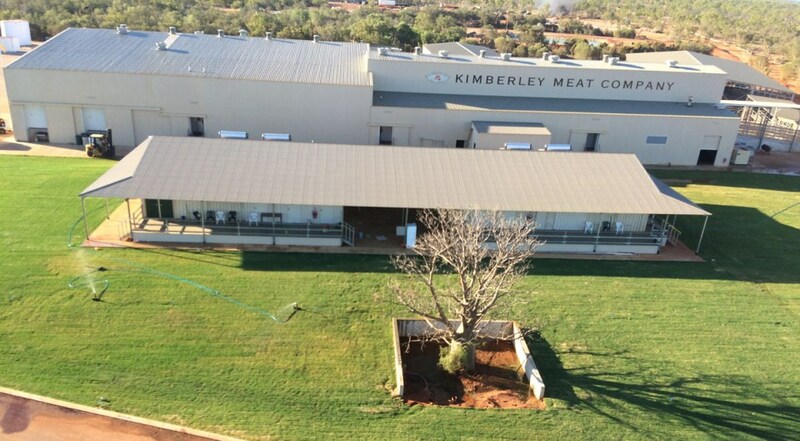 I wish Kimberley Meat Company nothing but the best of luck, and hope that a similar successful venture opens in North Queensland. What a great success story – we wish these people all the best for the future. Our industry needs more people of this calibre. Well done Yeeda – keep it simple and run it tight.